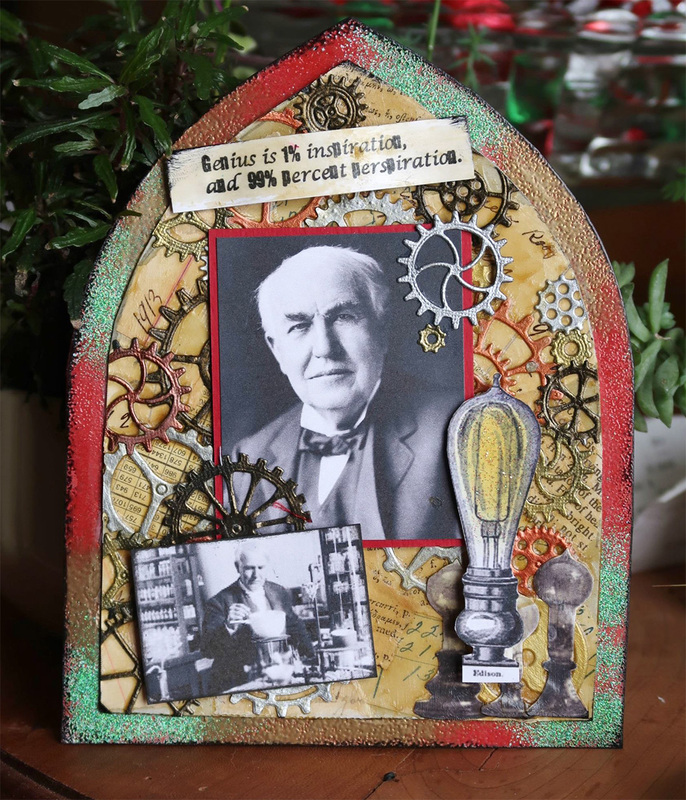 Happy Birthday, Thomas Edison! Described as America’s Greatest Inventor, he was born February 11th, 1847 in Milan, Ohio. In his honor, his birthday is now known as National Inventors Day. Best known for his invention of the incandescent light bulb but he was so much more. He accumulated a record 1,093 patents in his lifetime. I thought it only fitting to honor this man who so greatly changed our lives with a fun mixed media Steampunk inspired Gothic Arch collage complete with Creative Medium Metallic gears and photos of the man and his work. Cut a large and small Gothic arch from chipboard. These will eventually nest inside one another. 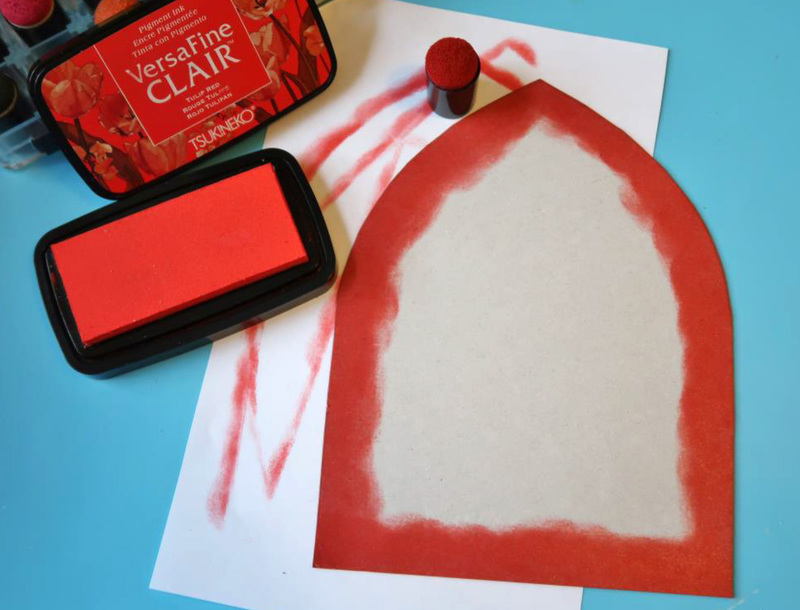 Ink a 1-inch border around the entire outside edge of the large Gothic arch using a sponge dauber and Tulip Red VersaFine Clair ink. 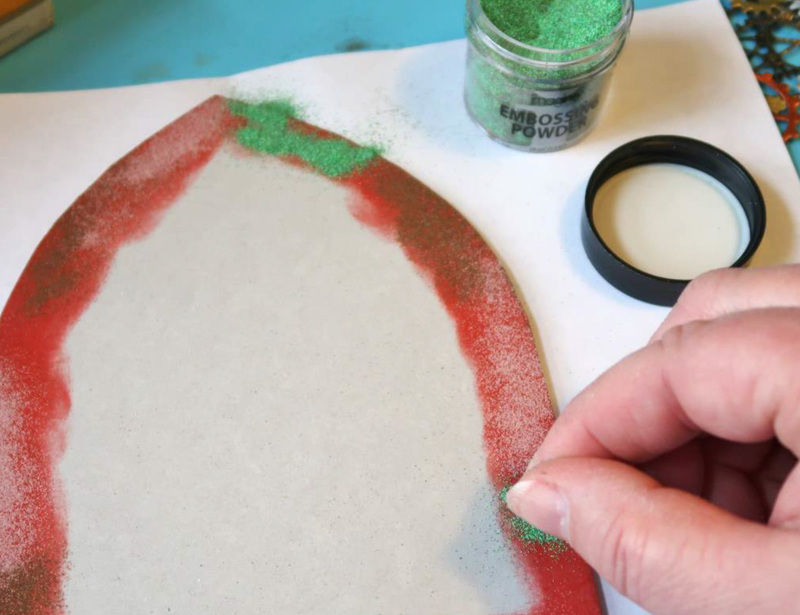 Sprinkle desired color(s) of embossing powder over the inked areas. Clear, gold and patina embossing powders were used for this example. VersaFine Clair has amazing properties which allow embossing powders to stick to it even after it is dry to the touch so there is no need to rush or waste embossing powders by mixing them all together. Each color may be applied individually enabling you to collect and save the excess powder. 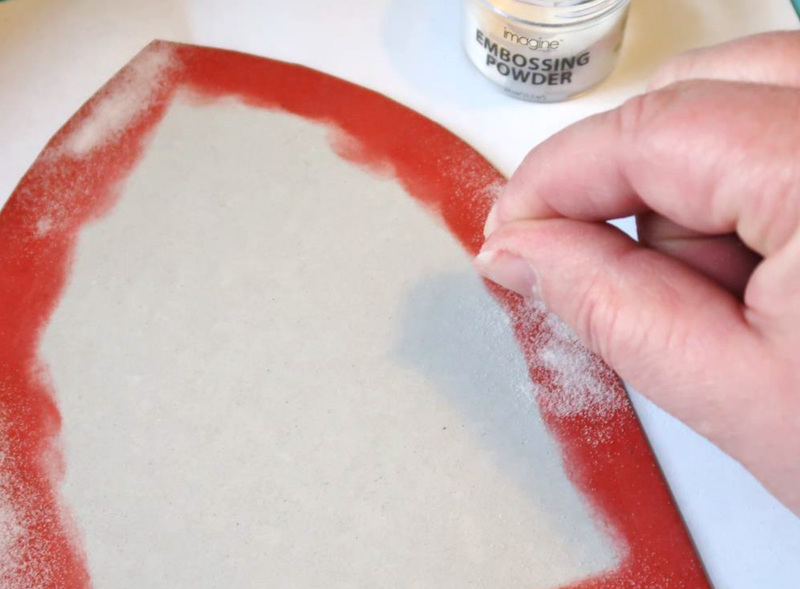 Use a heat tool to melt the powders. Set the large arch aside to cool. 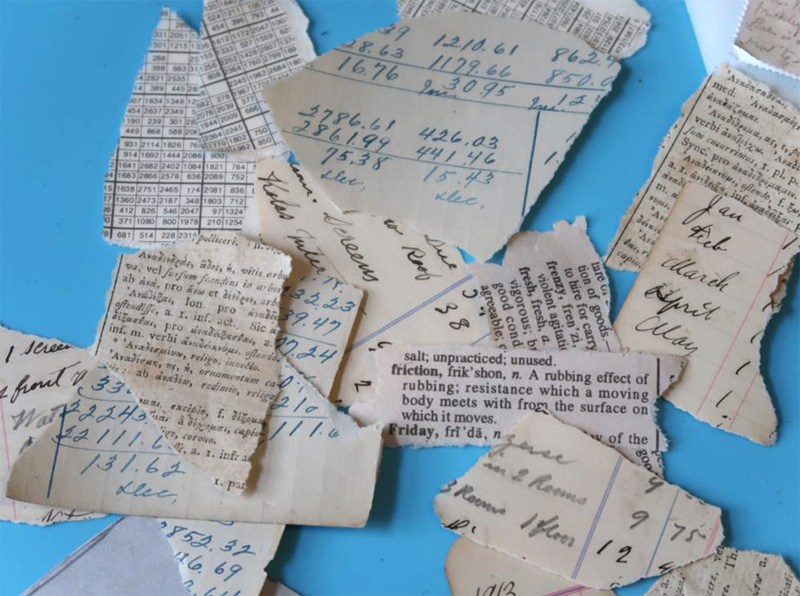 Tear vintage ledger pages, mathematical charts, dictionary pages, etc into small pieces. 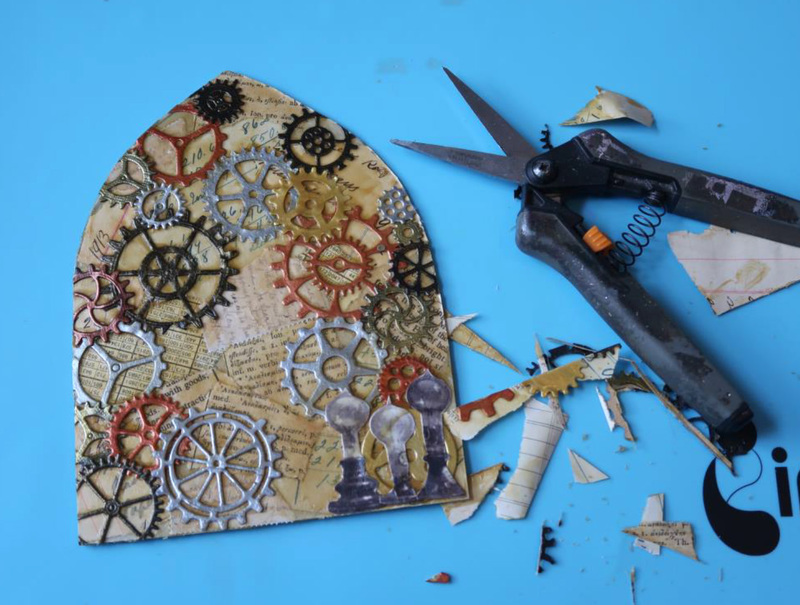 Adhere the pieces of ephemera to the small Gothic arch using Vintage Creative Medium and a palette knife. Overlap pieces until most of the chipboard have been covered. Set aside to dry. Spread a thin layer of Gold, Silver, Bronze and Copper Metallic Creative Medium over 4.25” x 5.5” pieces of cardstock and let dry. 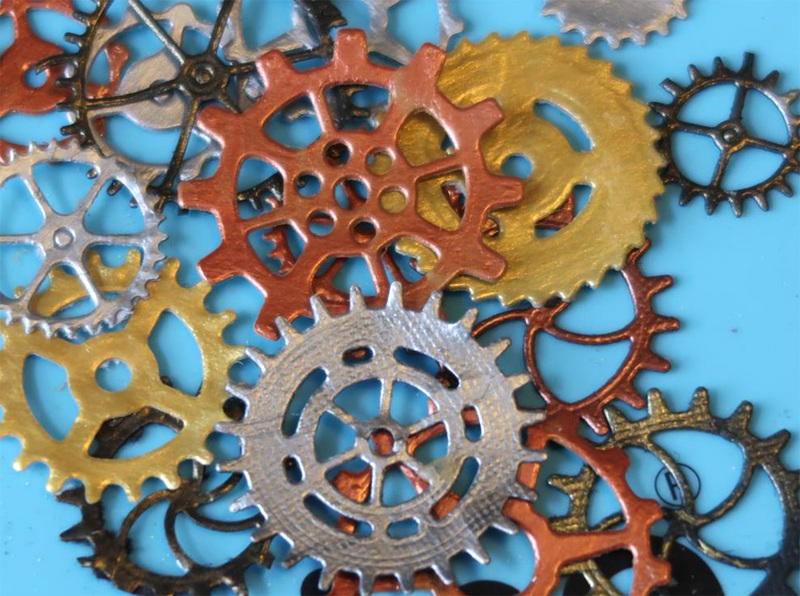 Die-cut various gear shapes from the Creative Medium papers. 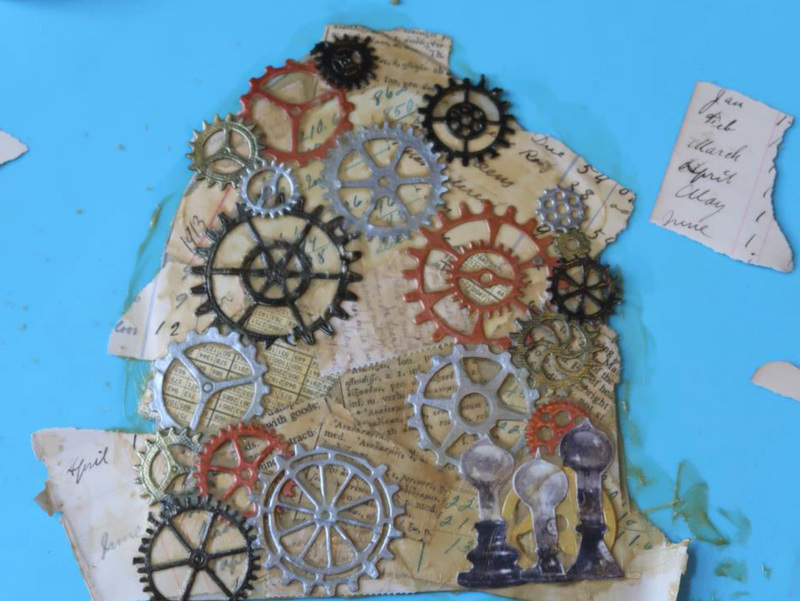 Adhere the gears to the arch using more Vintage Creative Medium. Trim off the excess paper from the arch. Stamp sentiment on a strip of white cardstock. 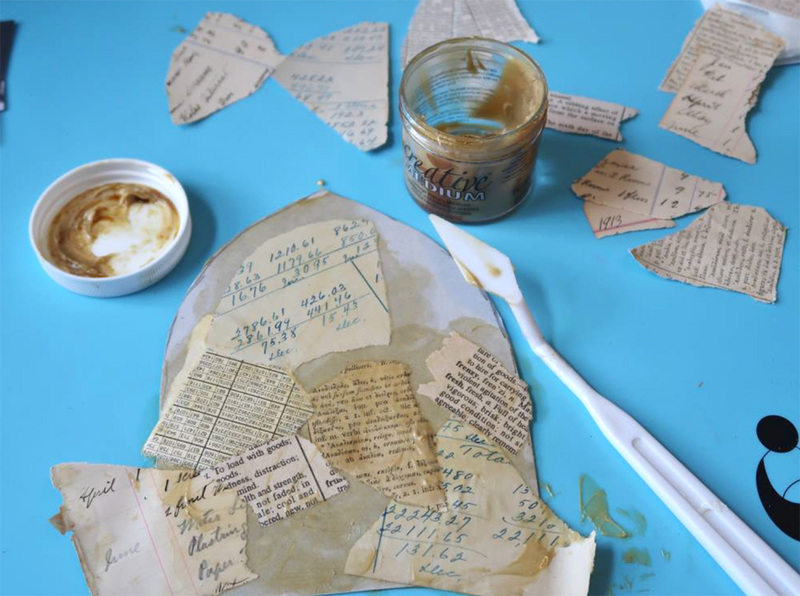 Create an aged look by rubbing a small amount of Vintage Creative Medium over the strip. Ink edges with VersaFine Onyx Black. Adhere the sentiment and images to the arch as desired. The lightbulb image was inked using Memento Dandelion ink. A couple drops of On Point Glue was applied to the colored area and sprinkled with micro-fine glitter. 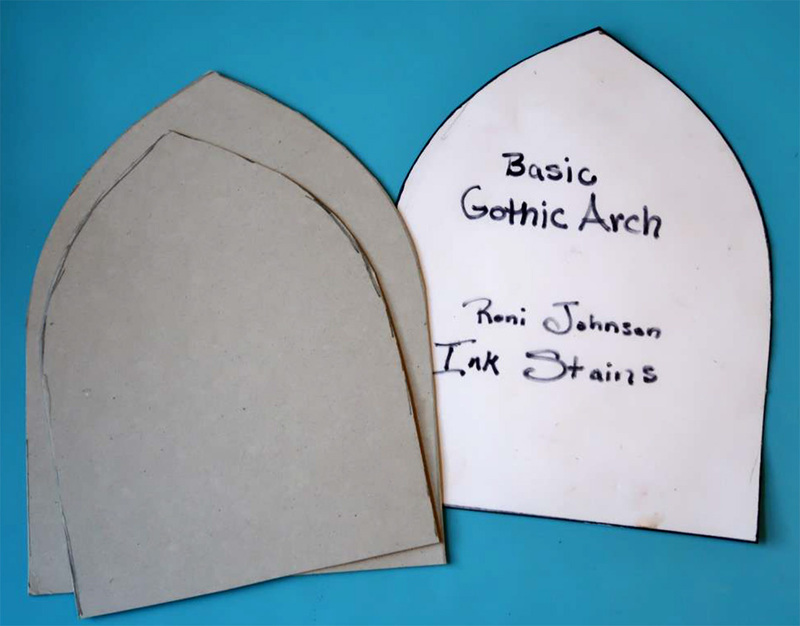 Affix the smaller Gothic Arch to the larger embossed arch using Tear It Tape. And if you have extra supplies left…. 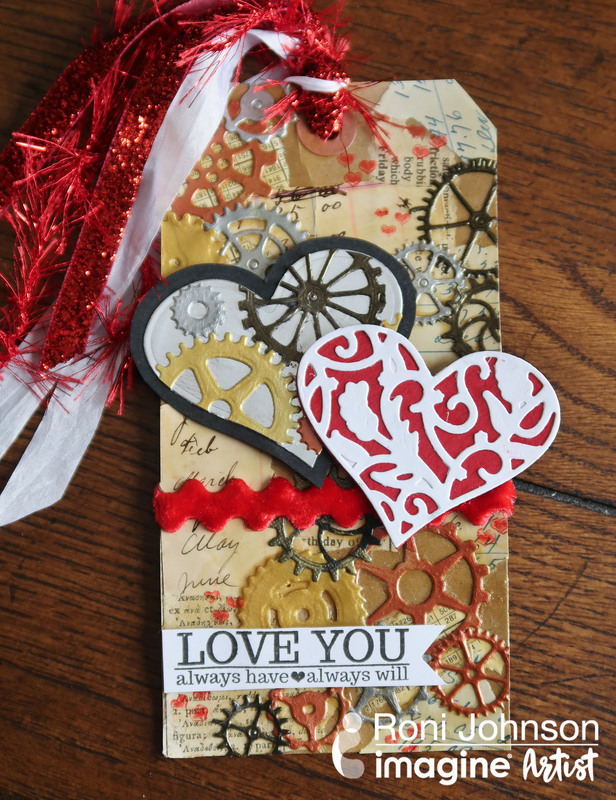 Take the remaining pieces and create a gift tag. 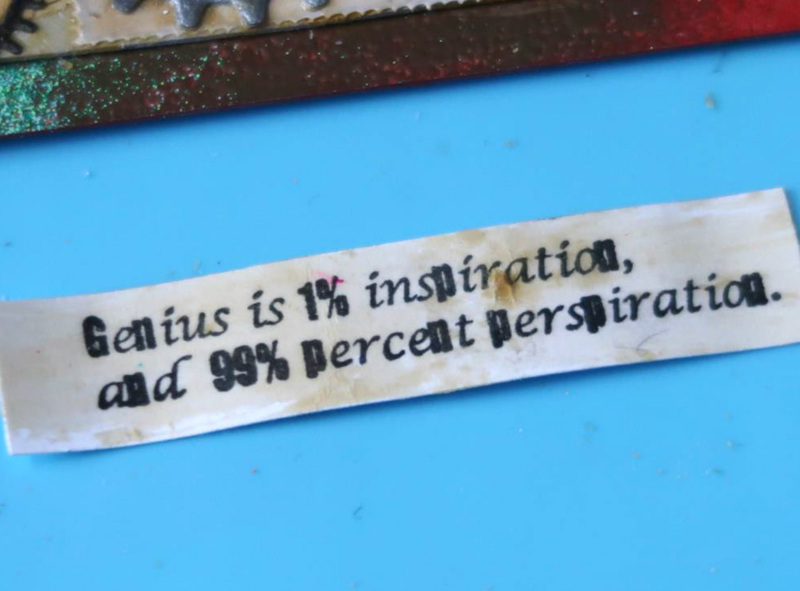 This entry was posted in 2018 ARTIST IN RESIDENCE, DIFFICULTY LEVEL, DIY, INSPIRATION, Intermediate, Mixed Media, PROJECTS, Roni Johnson and tagged Collage, Creative Medium, DIY, Embossing, Embossing Powder, Mixed Media, Paper Crafting, tear it tape, VersaFine, VersaFine Clair. Bookmark the permalink.